What exactly is Medicaid planning? How can a Medicaid planning lawyer help me? Medicaid planning is a process by which you take steps to protect your assets so you do not have to spend those assets on medical care or nursing home care. Medicaid is a government-operated insurance program that pays for things that other insurers don’t. In addition to helping seniors with Medicare copay and coinsurance costs, Medicaid also pays for nursing home care in situations where no other policy provides coverage. Medicare and other insurers only pay for brief periods in a nursing home to receive skilled care, while Medicaid pays for the type of routine long-term care most people require. If you don’t have Medicaid and cannot qualify for it, private pay is your only choice. Why wouldn’t you have Medicaid when you need it? Because of Medicaid’s strict limits on income and resources for eligible beneficiaries. While many seniors qualify based on their income level, the assets acquired by working hard over a lifetime could prevent eligibility. Medicaid planning involves taking steps to make sure those assets don’t prevent coverage, because if they do, you’d have to spend your wealth to get care before Medicaid kicks in. This won’t happen if you’ve made the right advanced plans with proper legal help. When Should You Make a Medicaid Plan? It is important to make a Medicaid plan long before you believe nursing home care is needed. In fact, if you don’t make your plans at least five years before trying to qualify for Medicaid, you are not going to be able to fully protect all of the assets that you wish to keep safe. At the time when you apply for Medicaid, Medicaid looks back at your financial records over the past five years. If you made some of the transfers of assets which are an essential part of Medicaid planning, you will be disqualified from receiving Medicaid coverage for a period of time. The period of disqualification is a set number of months as determined by dividing the value of transferred assets by the average monthly nursing home care costs in your area. You can still shield some of your wealth even if you are in a circumstance where a need for nursing home care is imminent and you have not yet made advanced plans. You should talk with an experienced attorney as soon as you can to find out the options you have available for trying to preserve your legacy. However, it is far better for you and your family if you have acted early and made a comprehensive asset protection plan long before Medicaid coverage becomes essential. How can a Medicaid Planning Lawyer Help You? 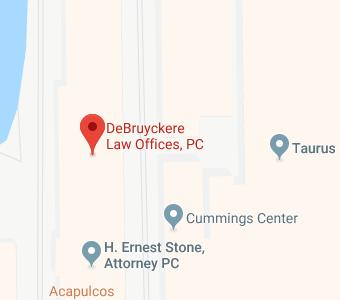 A Medicaid planning lawyer at DeBruyckere Law Offices can provide assistance to clients of all ages who are ready to make certain that they can get Medicaid coverage while keeping assets safe. Our legal team understands how hard you work to acquire wealth and we know how important it is to you to use your money to make a difference in the lives of your loved ones. We will help ensure you don’t lose everything just because you must spend time in a nursing care facility. Our legal team serves the community with offices in Beverly, North Andover, and Woburn, Massachusetts, as well as Nashua and Londonderry, New Hampshire. To find out more about the Medicaid planning services that we can offer to clients, give us a call or contact us online today to find out more.